JORD Wood Watches. Telling More Than Time….. 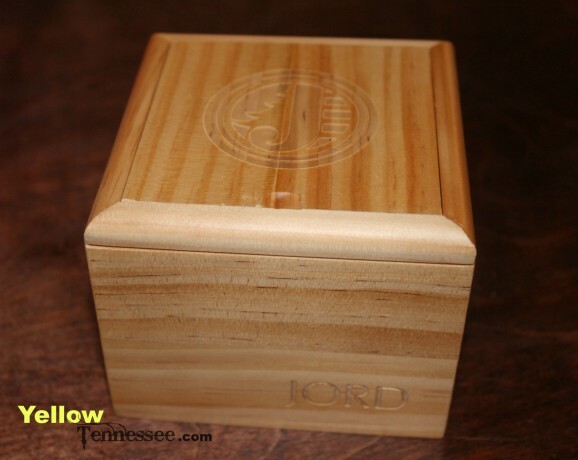 I have partnered with JORD Wood Watches for this review. All opinions are 100% my own. If you have read this blog for awhile no doubt you know that I am a St Louis girl. Even though I have lived in the south for almost 9 years I still call St Louis home and love nothing more than taking a trip up there every chance I get. So when I was contacted by JORD Wood Watches about reviewing one of their amazing watches, the rep from the company and I agreed that it was fate that both the watch and myself were from St Louis. How could I say no? This adorable wood box showed up and it was like Christmas for me. JORD Wood Watches are made using 100% all natural wood in a variety of natural and sustainably sourced wood from across the globe. Their collections may contain one or multiple types of wood in line with the design and function of each watch. Current collections feature bamboo, maple, sandalwood, blackwood, cherry, zebrawood, and koa woods. After looking over the site for what felt like hours, I finally settled on the Fieldcrest Series watch in black. And then I sat back and waited for it to arrive. I have always been a big fan of different. I like unique and things that not everyone has. I do have pink hair, so I guess it is not really a surprise that I like unique. This watch fits that perfectly. It is pretty and so unique that I get a lot of compliments on it. The face of this watch is a little bigger than I normally go for but I love that it just ends up looking even more bold on my little wist. JORD even sized it for me before they sent it and it fits a little loose like a bracelet. My favorite part of this watch is that no matter what I am wearing it looks great. I can dress it down with jeans and a t-shirt or dress it up with a dress. Either way, it works perfectly and I just know I am going to love this watch for years to come. 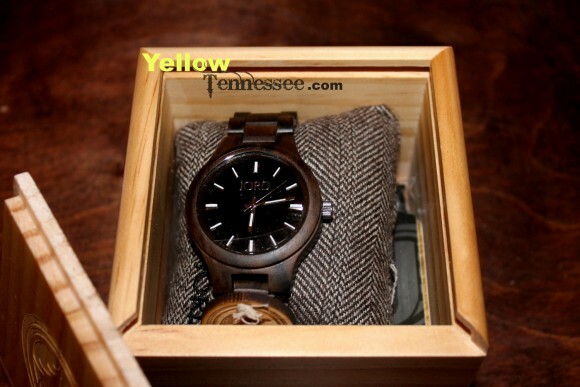 You can shop online at JORD Wood Watches and also keep up with them on Facebook and Twitter.